Designed for home and office use the FlexPro kit offers a full array of cell phone signal booster solutions. 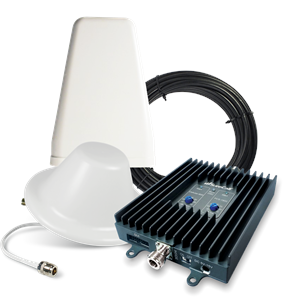 Cellphone-Mate FlexPro signal booster provide enhanced 2G and 3G voice and data reception for an area of 100 feet up to 6,000 square feet where reception is weak due to to distance from tower, topography, building materials or structural design. Fully configurable for all indoor environments, SureCall FlexPro signal booster work with all major U.S. carriers and its compartmentalized design ensures enhanced call clarity for up to 10 simultaneous users. Cellphone-Mate three-year warranty is a testament to our product quality and durability.